Shibuya is currently undergoing a massive transformation, with the kind of major construction work that could be considered a once-in-a-century ‘facelift’. 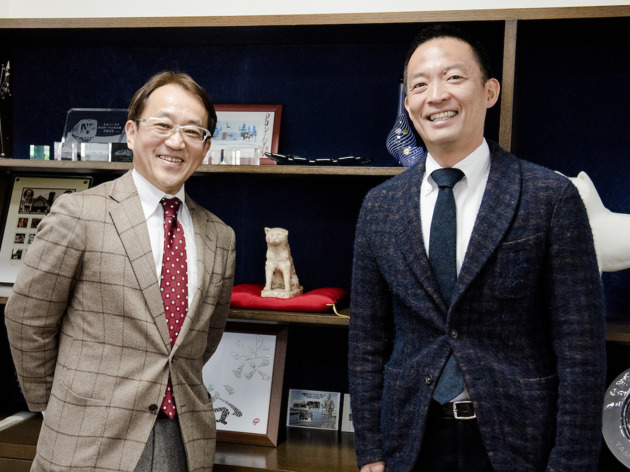 Ken Hasebe, the mayor of Shibuya City, and Ryosuke Toura of the Urban Development Business Unit at Tokyu Corporation, which is involved in the development, came together to talk about the future of the neighbourhood. 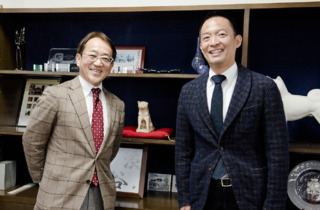 With Hasebe representing the government and Toura representing private developers, their aim is to work in harmony so as to actualise an ideal vision of Shibuya. Hasebe: Shibuya has been a centre for different street cultures for a long time. These cultures come from the local communities, which are made by people, not by the government. Right now, I feel a sense of crisis about the area losing its vigour as a cultural hub. I was born in and grew up in Shibuya, so I know what a big influence it had before. So, I believe my job is to offer support from the government side by creating a better environment for the communities. By saying ‘community’, I’m not excluding people living outside of Shibuya; I’m talking about everyone who lives or works or likes to hang out here. Toura: I totally agree with this idea. I think that generously accepting a variety of people is one of Shibuya’s favourable characteristics. It’s also a significant key for any neighbourhood to develop. I worked part-time in Shibuya in my youth and used to hang out here, so I also saw how many different communities and cultures were embraced. H: Shibuya has the kind of vitality that gives rise to counter cultures. For example, the Tomigaya and Yoyogi-Hachiman area is now nicknamed Ura-Shibuya (back-Shibuya) and there are a lot of interesting eateries opening up there. These communities make Shibuya lively and interesting. My hope is to support this atmosphere by restoring the community FM radio station featuring local stars. T: Yes, Shibuya keeps showing us new personalities. I think that’s why people keep coming back – to discover the other side of Shibuya, not just the crossing. When urbanisation happens, it tends to establish big buildings near train stations and people end up spending most of their time there. But I want people to stroll around, too. In this sense, one of our missions is to offer a safe and convenient traffic system, as well as an urban foundation. H: Exactly, to support communities, I am especially focused on making the streets accessible for pedestrians. So another goal is to develop vehicle-free streets to develop more street culture. T: Great! Also, as a developer, we should involve many people in the discussion of the ideal future image. Gentrification has the potential to ruin a neighbourhood’s character by kicking small local business out. To avoid this, we are establishing new buildings that have lots of offices, sharespaces and creative spaces for smaller companies. We are always thinking about what we can do to support communities – for example, last October we held a discussion forum called ‘Making Maybe Future Session’ to talk more about Shibuya’s future with people who visit and work in the area – whom we refer to as 'Shibuya people'. We need to hold this kind of forum regularly so that we can keep in touch with local voices and take action together. H: Talking about taking action, the clean-up event after Halloween was very successful. T: Right, it was such a unique solution – after only two hours, Shibuya ended up even cleaner than usual!